It is with great pleasure that we introduce a budget version of Online Poker Script called Poker Game Script. We want to give people a low budget for fun script that they can easily install on their website, but does not break the bank. 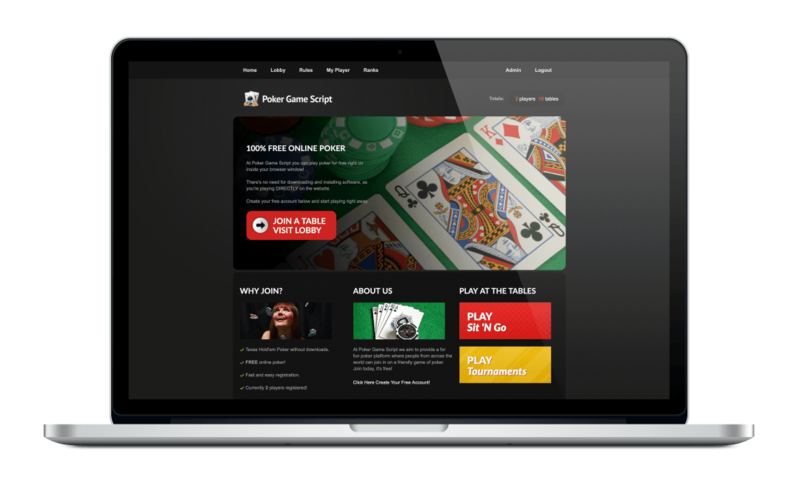 Poker Game Script is built on PHP Poker’s poker engine with the original table layouts and new overall website design. A great kickstart to your poker project at the best price possible. Our Poker Engine Powers Poker Game Script! At the core our poker engine powers many for fun site. At OPS we want to focus on providing high quality semi-professional poker site that compares to the big guys. Poker Game Script’s poker script is the alternative. We wanted to pay homage the original PHP Poker and working up to php 5.6.